TORONTO–Cannvas MedTech Inc. , a leading digital cannabis educator and business technology company continues toward a goal of becoming the leading social and census data collection agency of the cannabis industry. 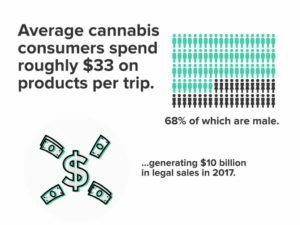 With over one million cannabis consumer data points collected since the launch of its digital cannabis education platform Cannvas.Me, Cannvas is positioned to accelerate its data collection and analysis within the industry. 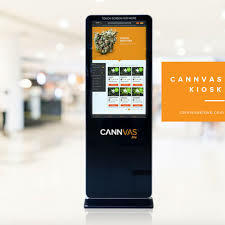 With thousands of users signed up and active on the Cannvas.Me platform since its October 2018 launch, the site continues to experience sustained growth as it delivers free and physician-backed cannabis education using artificial intelligence to contextualize and adapt to its users while collecting valuable industry and customer data points. The Company’s Cannvas Data branch uses the same advanced technology to closely analyze and process data points to reveal highly-focused and relevant cannabis industry insights. Cannvas Data uses machine-learning algorithms and artificial intelligence (AI) to analyze cannabis industry trends, opportunities and challenges and create detailed reports for a range of sectors including education, medical and health sciences, government and the cannabis sector itself. 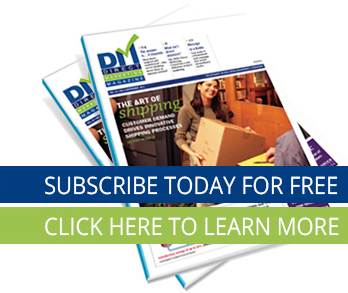 Through the partnership network established by Cannvas.Me with recognized healthcare and education providers, such as Namaste, Hi-Jane and Advica Health, Cannvas Data is increasing the amount of data it processes nearly every day. NamasteMD alone brings a reach extending across 20 countries with a database of nearly two million users. The result is an ongoing anonymized analysis of what cannabis consumers across Canada are seeking out, from education and methods of ingestion to products, producers and prescriptions. Through Cannvas Health, the Company has entered into agreements with leading health care and education organizations, as well as dispensaries and cannabis brands, to provide white label solutions for digital cannabis education opportunities powered by the Cannvas.Me platform. This exposure expands the ability of Cannvas Data to comb through vast networks with millions of users volunteering their cannabis inquiries and habits as they navigate learning modules and informational articles on the potential health benefits of cannabis as an alternative treatment. Aiming to be among the international authorities of unbiased and arm’s-length information on the cannabis sector, Cannvas Data continues to work with those in the industry to paint a clearer picture of the marketplace and its needs at present and in the future. Cannvas MedTech also recently joined the Global Cannabis Partnership (GCP), a collective of leaders in the government-sanctioned, adult-use recreational cannabis industry, as a Member organization. The goal of the GCP is to develop an international standard for the safe and responsible production, distribution and consumption of legal recreational cannabis and help shape the face of social responsibility in the cannabis industry. Its main objectives are to build credibility for government agencies, industry and partners through responsible practices, align and leverage common principles and practices across diverse jurisdictions, and help partners mitigate negative impacts and leverage best practices from within and outside the industry to protect and enhance social licence to operate, with a view to minimizing harm. Additionally, the Company issued a total of 58,703 common shares (the “Shares”) at a deemed value of $0.30 per Share to certain persons for certain consulting fees owed totaling approximately $17,610.90. Cannvas also issued an aggregate of 1,000,000 Shares of the Company at a deemed value of $0.30 per Share to certain related parties of the Company, pursuant to the achievement of certain milestones and in accordance with their respective consulting agreements.